Urge Congress to create comprehensive, trans-national solutions to address immigration and stabilize the Western Hemisphere. AJC supports a fair and just immigration policy that upholds the rights of immigrants while also strengthening the security and prosperity of the U.S. Ongoing national disagreement over immigration undermines our country and weakens its commitment to democratic and humanitarian values. Comprehensive immigration reform is necessary to resolve the status of the millions of immigrants who are already here—either without documentation or without a pathway to permanent residency and/or citizenship. The region must also become more secure and more democratic to address the root causes of migration so that families can safely remain in their homelands. As your constituent, I write to urge your consideration of several policy recommendations to achieve the economic and national security needs of the United States while holding true to American values of justice, equal opportunity, and human dignity. 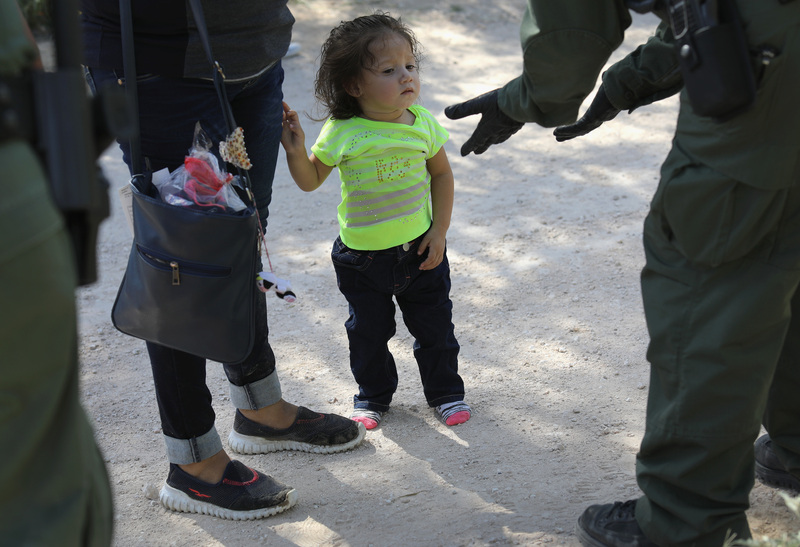 The administration’s “zero tolerance” policy must end. Not only has it wrecked families, it has placed unsustainable burdens on the Office of Refugee Resettlement and levied impossible caseloads on an insufficient number of judges. Stringent border security cannot be allowed to exclude, prevent or prosecute legitimate asylum seekers. Current jockeying between the executive, legislative and judiciary branches over immigration has put immigrants in peril and highlighted the need for immigration reform. There must be a permanent solution to end the uncertainty around the status of roughly 800,000 young, undocumented men and women (known as Dreamers) brought into the country as children. Similarly, the decision to end Temporary Protected Status (TPS) for Hondurans, Haitians, and Salvadorans threatens to destabilize Central America, jeopardize U.S. national security and put lives at risk. A strategy to assess the root causes of migration to the U.S. is much-needed and overdue. Numerous countries in the hemisphere struggle with existential problems related to stability, crime and law enforcement, democracy, and security. Congress should evaluate aid to the region with an eye towards creating meaningful reforms. The U.S. should be actively engaged with the OAS to achieve common objectives, promote democratic values and good governance. In addition, the U.S. must prioritize diplomatic efforts with countries and the OAS to clamp down on Hezbollah-tied networks and prevent further penetration of Iran and Hezbollah into the Western Hemisphere.